SB 296 makes clear religious organizations and their affiliates cannot be forced to perform gay marriages, and no one can be evicted or fired for expressing their religious beliefs. Governor Herbert said that strikes a fair balance. 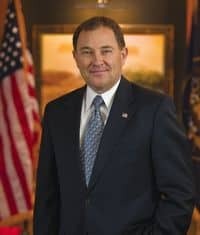 “And I do believe that what we’ve done here will become a model for the rest of the country of how they too can resolve these issues in their own respective states as we find the right balance necessary to discourage discrimination while protecting religious liberty,” Herbert said. Protections under new law will take effect in July.